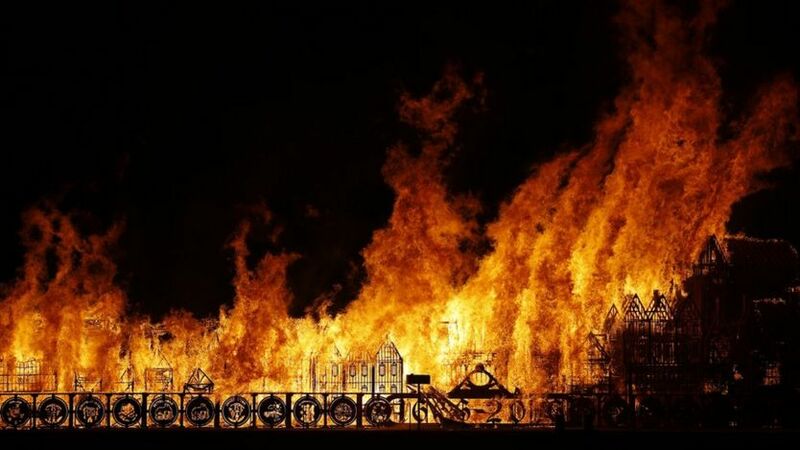 "London 'alight' for Great Fire retelling"
I read about that when they were still building the replica. I'm not sure why but that just strikes me as impossibly cool. They should have burnt the real city down. It's a horrible place. Yeah. That there is pretty much what Malmö, Sweden looks like these days. Not that we don't have certain districts in Oslo doing more or less the same thing, but the flames are generally bigger in Malmö. ...I'm going there for a project.